Set it to count down at any time from 99 hours to 1 second with an accuracy of 0.01% and 0.01 resolution. Use pre-programmed dial to set countdown/ alarm timing to a large range of times instantly. Display continually shows running time remaining to zero. When zero is reached, timer sounds an alarm for 5 seconds. When zero is reached, the timer alarms and begins to count down again from the programmed time. Repeat cycle continues automatically until stopped. The ideal stopwatch to dedicate to an analysis that must be noted at routine intervals. 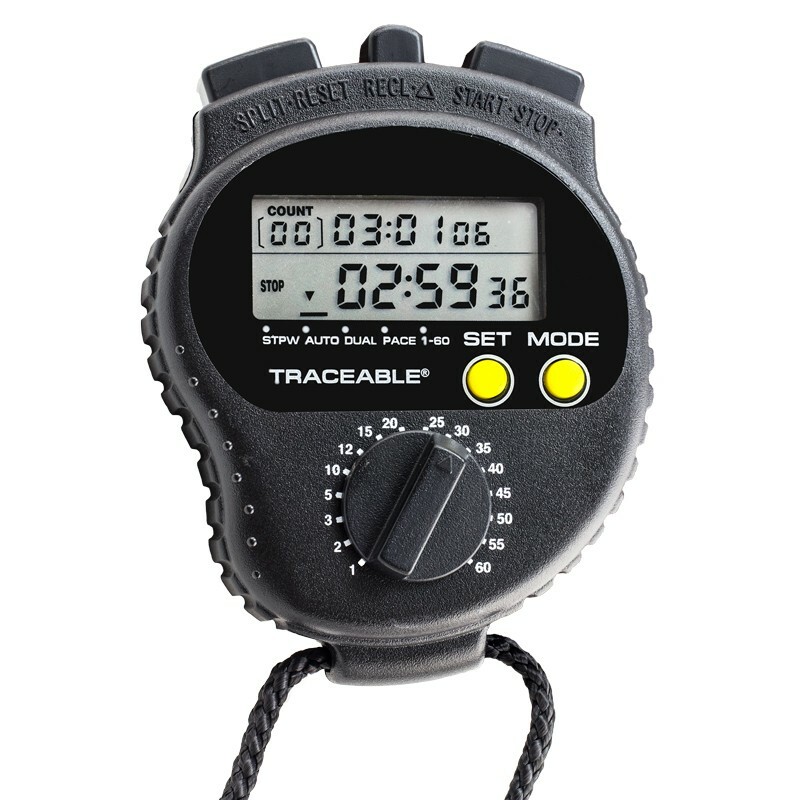 Stopwatch mode times up to 10 hours with 1/100-second resolution. This unit also has a pacer. Extra-tough ABS plastic shockproof construction is perfect for use in the lab or field.